A National Engineering landmark commemorates Kalgoorlie - Boulder Mining. 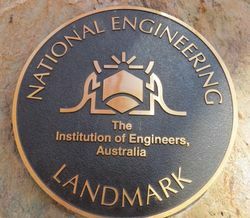 The Institution of Engineers Australia, through its Heritage Committees, established the Australian Historic Engineering Plaquing Program to acknowledge past engineering achievements and to draw public attention to the significant contributions they have made to society.The Plaquing Program is a means of bringing public recognition to significant historic engineering works and the engineers who created them. 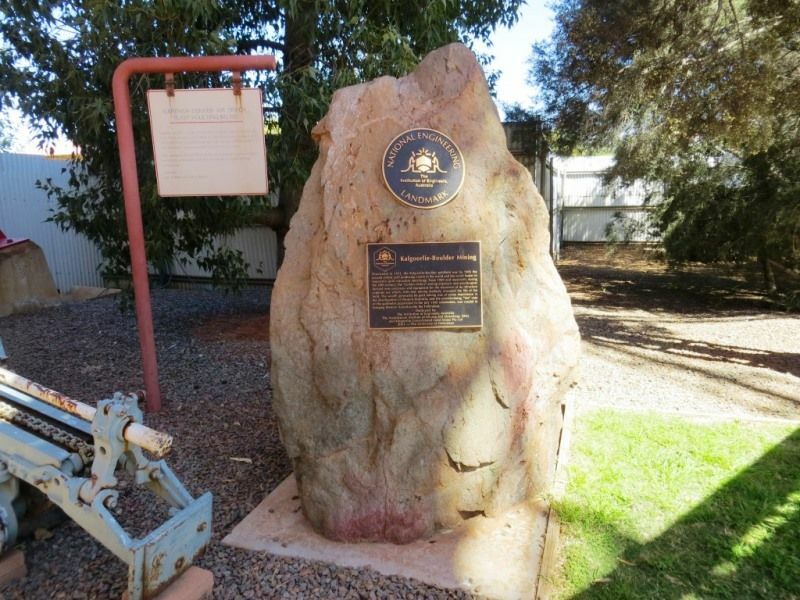 Discovered in 1893, the Kalgoorlie -Boulder goldfield was by 1905 the second richest gold producing centre in the world and the world leader in innovative gold extraction metallurgy. From 1900 and repeatedly during the 20th century , the "Golden Mile's " mining engineers and metallurgists devised new processes and equipment for the treatment of its refractory sulphide ore which, with new mining methods, extended the life of the field. 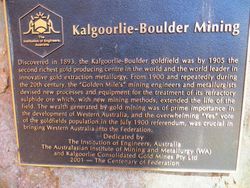 The wealth generated by goldmining was of prime importance in the development of Western Australia, and the overwhelming "yes" vote of the goldfields population in the July 1900 referendum, was crucial in bringing Western Australia into the Federation.